From 7 to 9 September the small and cozy Belgian town Eupen will host Meakusma Festival which gathers the prominent artists and sophisticated connoisseurs of sound from around the world. 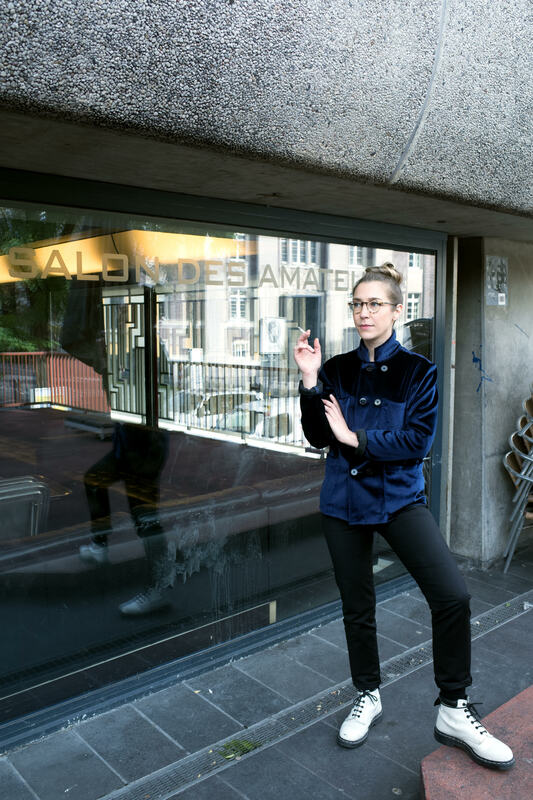 It will mark the appearance of the compelling selector and resident of Salon Des Amateurs, Lena Willikens, who will take a tour through the uncharted music of her curated stage. 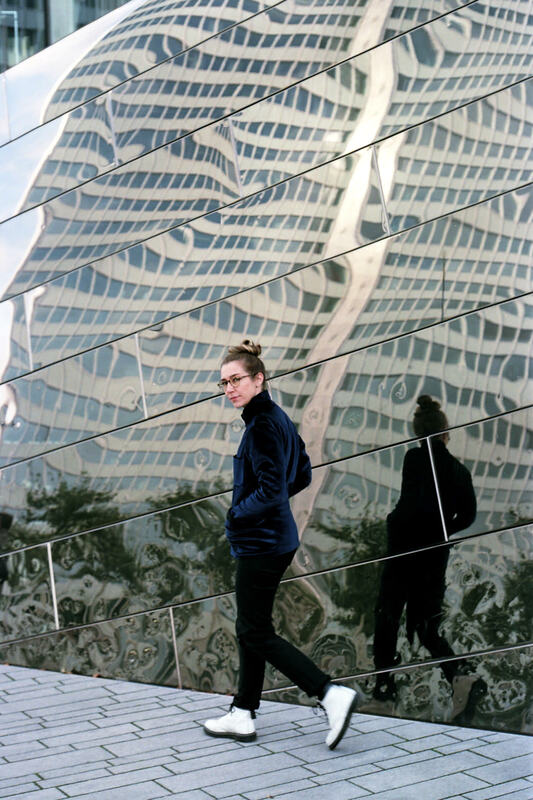 She've picked some of her personal favorite Japanese musicians: YPY, Compuma, Rie Lambdoll, and Kopy, together with whom she will present the "Carte Blanche to Lena Willikens" stage on Saturday, September 7th. We talked to Lena on the eve of the festival and found out how the idea was born, why she chose Japanese artists and what is her curatorial approach. I want to talk about your curatorship at the upcoming Meakusma festival. How did this idea come about? I have to start years ago when I met the guys who run Meakusma for the first time. It was even before they started a festival, maybe seven years ago or even more. I was working at that time at a-musik, a record store in Cologne. Meakusma is also a label, so they came from Eupen, where they live, to Cologne to bring records to the record store, where we were supposed to sell them. Immediately it became a very nice contact and then friendship. So when they had their first Meakusma in Brussel, they invited me to play. I have a project Phantom Kino Ballett with Sarah Szczesny and last year we also performed at Meakusma. It's an audiovisual drama; it's something to sit down and watch. It's a movie with music, spoken words, and arts performing to it. Actually, for us, it is a really important performance, and I think, so far, we did about seven of them. Things are changing, and we are always facing different situations where we think: “OK, now we have not 200 but 600 people in this room watching our movie,” so we have to change something, we have to do something else - another choreography, or even movie changes itself. So for Meakusma we also made a nice selection with a lot of fabric which Sarah painted. We worked with the room, and I would say it was one of the most important performances we had so far. That's why Meakusma is not just another festival, which I play a lot. I also like the idea of curation. It was more like an idea which comes up between friends and not on official request. What also makes it very special for me is Eupen, the hometown of Meakusma, which is really close to my former hometown of Cologne, which I left one and a half years ago. And I know that many friends from Cologne will all come together - it's rather a friends gathering than just another festival for me. After I left Cologne, I went for three months to Kyoto with the Phantom Kino Ballett and Sarah Szczesny. We had an artists residence at the local Goethe Institut, and we've made many friends there, met so many amazing musicians and people running labels. So when the idea to curate the stage at Meakusma came up, I thought it would be a perfect chance for me to bring together the people I met in Osaka and Kyoto. Bring them close to my hometown where all my other friends are coming, and they will meet and share music. I’m sure that you have many friends-musicians around the world, why have you chosen the Japanese scene? Those three months in Kyoto were the most inspirational in the last ten years. I was touring so much for the last couple of years and playing so much, I could hardly go out anymore for a concert or a party without being involved. It was something I've rediscovered and how important it is from time to time. When I was in Kyoto, I took some time off. I blocked a lot of weekends. I only once traveled to Europe, so I had enough free time finally to go somewhere and just listen to a concert. And these artists I invited, they all gave me so much. They've inspired me in a way when I heard them playing in Kyoto and Osaka. It sounds cheesy, but I really want to share music that I love with people, but I also want to give them the opportunity to come. Why their music is so special and inspiring for you? I will start with YPY and Kopy. I met them briefly for the first time about five years ago. They had a mini tour and played at Salon des Amateurs, where I was involved with the bookings for quite a while. So they played there, and I was really blown away by both of their live acts. We met years later when I came to Kyoto and became friends. I followed their music, things they were putting out, especially YPY. 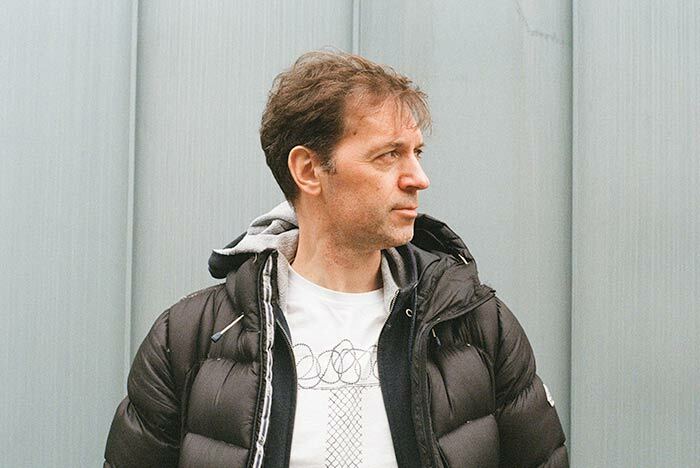 I played a lot of his music in my DJ sets and also on my radio shows on Sentimental Flashback and NTS. 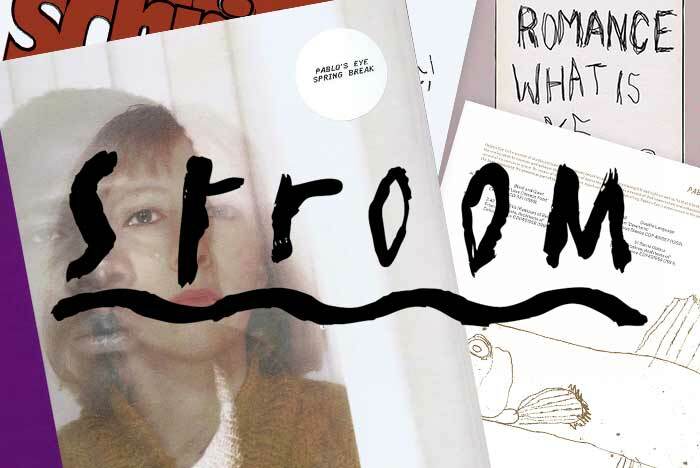 I met Rie Lampdol for the first time when I was in Osaka, at a night she shared a stage with Kopy who actually curated that night with something like eight different Japanese acts. I was looking forward to seeing her because I knew her music from the Synth Sisters, which is another project she is involved in. They've released music on the label of Chee Shimizu from Tokyo, who is an old friend from mine. He sent me Synth Sisters music years ago and I'd already played it, so I was a fan of her other project, and I'd never heard of her solo project. Her live set was really amazing. I also asked her to send me some music, which took her months to do. I would say she is very professional with her work music-wise, but when it comes to promoting, you know, she doesn't have an agent, you hardly find anything online, and this is it. I have a big empathy for that. For me, it's very special that she was able to come. Because she is a mother of a child, she also has a project with her four years old kid - they make music together. So for her to come with all her equipment, with her girl - it's very special that it's going to happen. Is she going to perform at Meakusma with her kid? She will perform solo as Rie Lambdol. As far as I know, she will take the girl with her to the festival. Meakusma is not like this totally crazy festival for kids. It's possible to hang there and then just go to bed at one time. I see that your stage is connected to your personal tastes. But still, I’d like to ask, what's your take on the relevance of these artists today? I think I can't answer this question because as soon as I try to, it would be kind of an analytic approach to music. I just refuse to analyze music. Totally. I refuse it. In order to not lose interest and fun. I did it when I was studying art; it was more analytic and intellectual approach. I studied for six to seven years, and at one point if you read so many books, you kind of lose the fun aspect. I try not to do so with music. I totally understand your position. But, you know, I see the mission of the curator not just in creating a nice and fun atmosphere at the festival, but also being a tastemaker in some way, given your influential position. For me, it's the same approach as when I'm preparing to play a set somewhere or when I make a regular show - everything goes through my filter. Certain things I like, certain things I don't. At Meakusma festival you have the dancefloor or video show where you know there is a chance to play more "listening" music, more experimental stuff. At Meakusma people are very open-minded, kind of sophisticated music lovers. So, for me, it's a chance to curate a not dance-oriented stage. I really like it, or I really like to have more freedom actually. Regarding your approach to the DJ sets, I've once read it was described as “driven by the will to make people dance to tunes they have never heard before.” So, you use the same approach as a curator, right? Yes, of course! I mean, most of the artists besides maybe YPY don't get the chance to come to Europe that often. For example, Rie Lampdoll will perform live in Europe for the first time. How do you envision a setting of the stage you curate? I would like to have a stage which is more like an ambient floor - people listening, sitting, dancing, but everything is more fluid. OK, it is like a party here, but it can also be a party even though people are just lying on the floor. I've noticed that you have a gender-equal lineup. Have you thought about it while you were making the program? I'm happy that it turned out like this, but it came about totally naturally. Do you think it's important for big influential festivals to incorporate a concept of a curated stage in their programs? I don't think it is important. It always depends on the festival obviously. For example, Unsound might not have it. If a festival has a clear vision, a certain aesthetic or something, then it might not fit so well in the concept. But with festivals which are more open and diverse, I really like that. But it occurred just recently, am I right? I think it's a kind of new thing, the curated stage at festivals. Yes. It's beneficial for organizers to rely on the influence of the artist who will curate the stage for them. It also helps to gather more people, I guess. How will you approach your set at the festival? I might prepare a more experimental set, but I think I’m very flexible, so I will look up to the atmosphere, the vibe in the room and react to it spontaneously. But yeah, I think it will turn out to be less dancefloor-oriented.